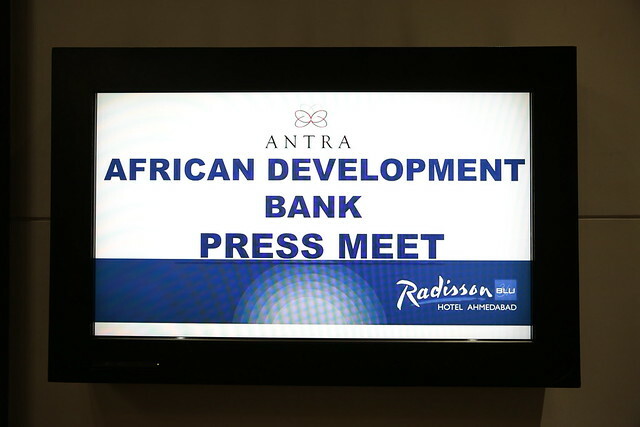 “Africa-India trade rose five-fold in the last decade and is forecast to double – to US $100 billion – by 2018,” African Development Bank President Akinwumi Adesina said Saturday. Africa and India have development journeys to share, Adesina said, and huge opportunities to explore together, not least in harnessing solar power to promote economic growth, and sharing the know-how of agricultural transformation. Speaking to the Indian press ahead of the Annual Meetings, Adesina charted a deepening partnership between Africa and India. He praised the Indian Government for its commitment to Africa, citing the success of the India-Africa Forum, and the evidence of the 2015 US $10 billion line of credit to be delivered over the next five years – through the Exim Bank of India – to Indian companies wishing to invest in Africa. He also highlighted the US $9.5 million of grants made in Africa through the India Africa Cooperation Trust Fund, and the Kukuza project development company, an Africa-India initiative based in Mauritius, which is developing a pipeline of bankable infrastructure projects in Africa. In underlining Africa’s economic success – 14 out of 54 countries grew by over 5% in 2016, and 18 by 3-5% – he stressed the importance of building skills and creating jobs for the young people of Africa. He praised the Indian Government for taking in African students of higher education, with the current 15,000-20,000 a year set to double in a decade. Commenting on India’s development journey, he said: “Prime Minister Modi has positioned India globally. His focus on ‘Make in India’ is something we want to see on our continent: ‘Make in Africa’”.